Amid a busy college football offseason of all Johnny Manziel all the time -- we head towards the season with the Johnny Manziel autograph signing story hanging over all of college athletics. Now there are rumors of others who were paid to sign autographs. If after due process and a fair hearing of the facts the reports are true, NCAA precedent dictates lengthy suspensions. A few years back a Georgia player was suspended four games for selling his jersey. Ohio State players were suspended for trading jerseys and rings for tattoos valued significantly less than the cash payments being alleged in this case. Fair or not, as the rules are currently structured there is a clear crime and punishment regiment established. Some are already arguing the rule is stupid or unfair -- we'll get to that point in a minute. I understand the outrage some feel because a student-athlete doesn't have the right to make money signing his own name. But many rules are in place for a reason. To understand the rule, look at the alternative. Let's have the NCAA declare student-athletes can get paid to do autograph sessions any time they want. Alumni, get out your checkbooks. If the top point guard in the country is down to UNC and Duke, UNC can let that recruit know UNC alums will pay him $200,000 to do an autograph session after he signs with UNC. You think I'm kidding? Keep in mind that roughly 15 years ago a high school coach was given $250,000 to help steer a defensive tackle to a certain school and that was against the rules. How much would the bidding be if it were legal and in the open? You may argue it's okay if someone wants to pay that point guard $200,000 to go to their school. It's market value. But what do we want college athletics to be? Who will those recruits really be representing? If you want the market to rule college athletics then make college athletics only about the money and end the system as we know it. Forget academics and pay athletes with a salary cap in place. Let young men in college football and basketball sink or swim. If they sink they are left without an education. That's not how I envision college athletics. We should aspire for a higher calling from athletes associated with our institutions of higher learning. But the driving force of these arguments for student-athletes has been the universities' greed now out in the open. Teams change conferences almost yearly for money. Annual conference television deals reach hundreds of millions of dollars. March Madness and the new college football playoff television contracts rake in billions of dollars. Ticket prices are jumping too. It is $175 for a good seat at MetLife Stadium to see Penn State play Syracuse. The National Championship Game ticket between Texas and Alabama four seasons ago in the 92,000+ seat Rose Bowl Stadium was $275 (over $25 million from ticket sales alone). Escalating coaches' salaries, training facilities and stadium upgrades cost big money. Over a decade ago Ohio State spent nearly $200 million to renovate the Horseshoe, and Penn State has plans to spend $10 million for a new scoreboard. It's easy to see why sentiment has changed and cynicism is rising. 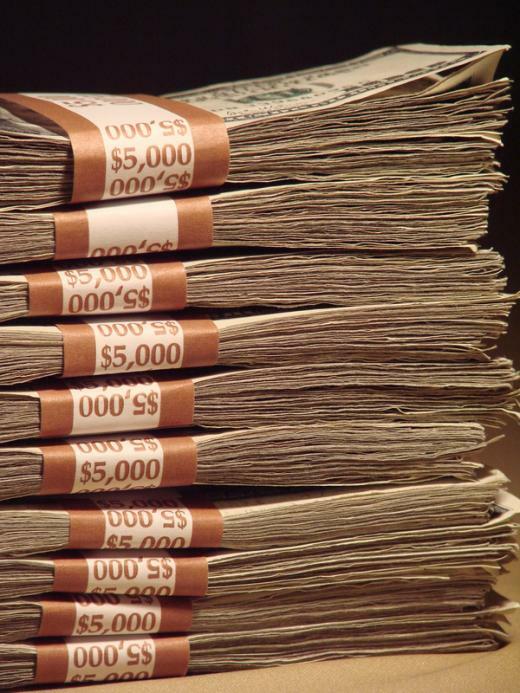 Escalating money is king in college athletics and no one knows where it stops. Anger over the fact that one player may not profit from selling his own signature is understandable. But the rule was put in place for a reason. In years past, players were allowed jobs, and to do whatever they wanted with their complimentary football or basketball tickets. Boosters were lined up in the recruiting process with promises to buy excess tickets or provide high-paying no-show jobs for the players. Those were inducements to get players to sign with certain schools. In the interest of fairness, and the mythical "level playing field" rules were put in place to prevent these things. That may be outdated. What has been interesting has been the sudden media outrage over the prospect of Johnny Manziel being ruled ineligible. That outrage was noticeably absent a few years ago in the Ohio State and Georgia cases. In 2013 networks and media understand college athletics creates the loyal intense fan following that translates to dedicated eyeballs on web sites and television sets. The fans of college sports tend to be a committed and therefore desirable demographic for advertisers. If more and more athletes grumble about the money being made it makes us uncomfortable. It upsets our belief in amateurism. It was never supposed to be all about the money, but many are starting to see it differently. In this case, fair or unfair there is a rule on the books. If it is determined that rules were broken then we shall see where this really goes. To Texas A&M's credit they have hired lawyers right away to defend their school and the school's interests. That's a novel idea that should at least provide fair due process for the athlete and the school. The answers to the questions facing the NCAA after the facts in the case are determined will be telling. Penn State fans are always gushing over their Nittany Lions, but according to Bill O'Brien so were plenty of other colleges during the open transfer period.